Pokemon Go players can’t find Ditto. Or maybe they have, but it’s such a good copy that – no, that way madness lies. Pokemon Go players have become resigned to not catching Legendaries; it looks like Niantic will release them through events. But even when you ignore the Legendary Pokemon, there’s one slot in the Pokemon Go pokedex which nobody seems able to fill: Ditto. If it were any other Pokemon we’d probably all just assume Niantic made an error, but Ditto’s thing is the ability to mimic other Pokemon, and that’s something other games have leveraged. In Pokemon Snap, you couldn’t find it in the wild – unless you closely investigated a suspicious Bulbasaur. You can probably already see why Pokemon Go players are convinced it’s out there somewhere. After Niantic told San Diego Comic-Con attendees that there are more Pokemon Go easter eggs waiting to be found, many fans became convinced that Ditto is one of them. Over on the Pokemon Go subreddit, validproof has put together a thread collating speculation and research conducted so far. 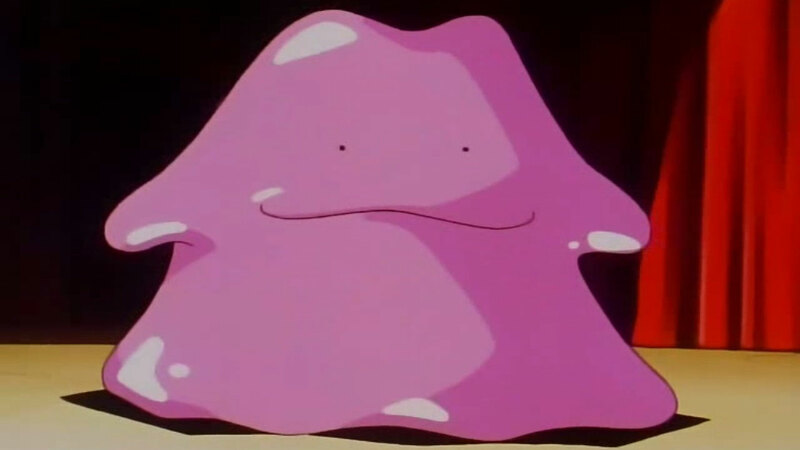 Ditto may be disguised as another Pokemon, and the player could identify it by moving the camera during a hunt to spot errors in the Ditto’s disguise, tapping and tickling the suspicious Pokemon, or hearing a unique sound effect. Taking a photo of the suspicious Pokemon could then make Ditto drop its disguise and become available for capture. Ditto may be disguised as a Pikachu, and may be obtained by renaming a Pikachu with an erroneous name – like in the anime series. Ditto may be disguised as a rock-type Pokemon or even a stone. Ditto may be distributed during Mew events, just as Ditto is found in Cerulean Cave in the original Pokemon games. Ditto may not be found until the Pester ball is made available. Until someone catches a Ditto in Pokemon Go we can’t know if any of these theories will play out, but we do know what does not work. As you can see, the speculation is getting pretty wild up in there; goodness knows what the answer will be. There’s a heck of a lot more discussion, data mined information and speculation in the linked thread if you’re keen to join the hunt.